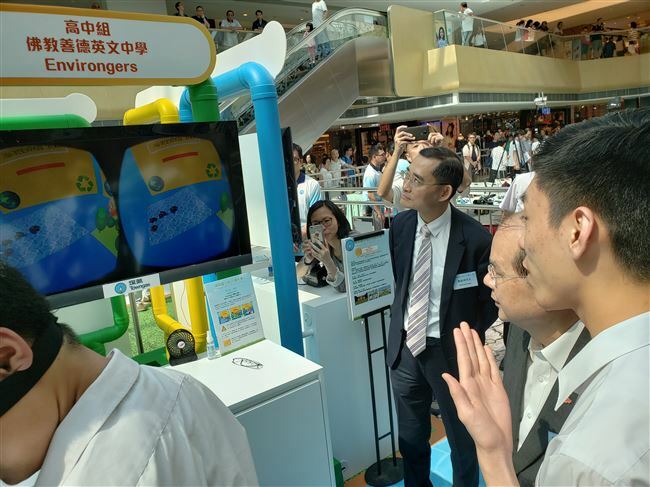 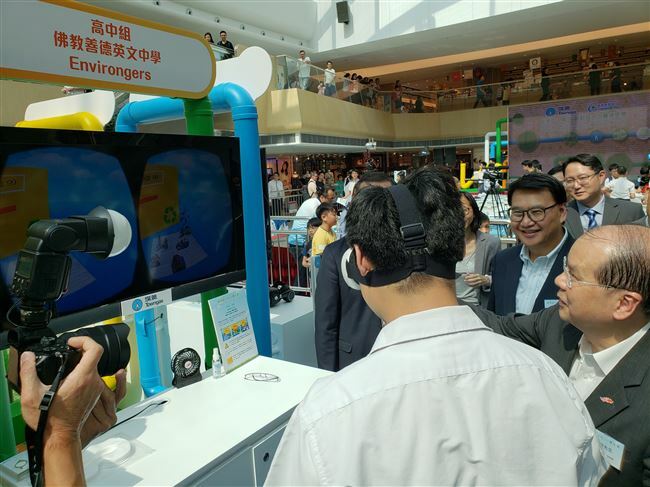 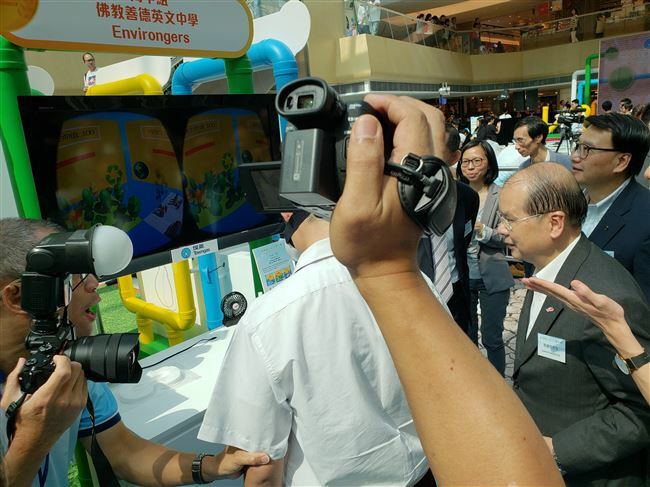 Congratulations to the virtual reality game "Environgers " designed by 6B Kwok Yui Chit, 6B Leung Pocco and 6E Tang Pok Lam who were the Champion for the captioned event organized by Towngas and Hong Kong Education City on Sunday, 9th September 2018. 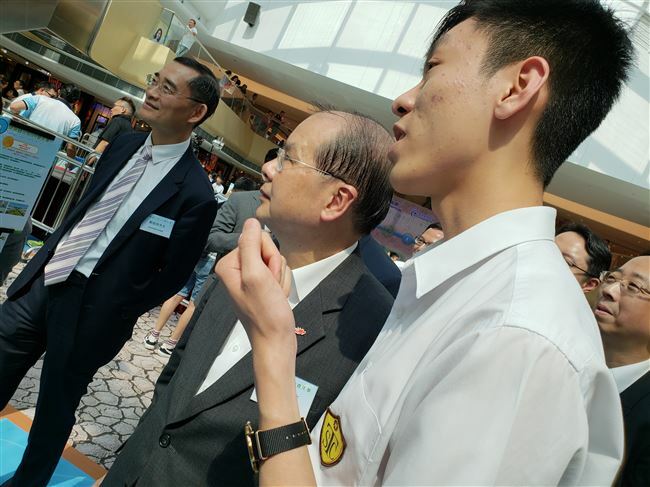 The first award in the senior secondary division is entitled to have a scholarship of HK $10,000 and a trophy. 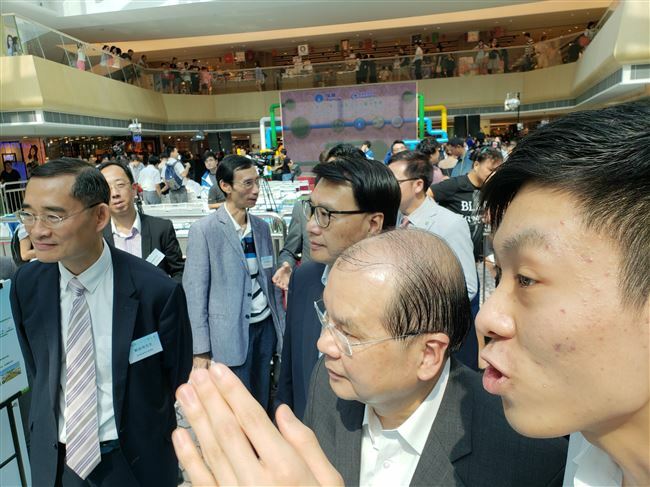 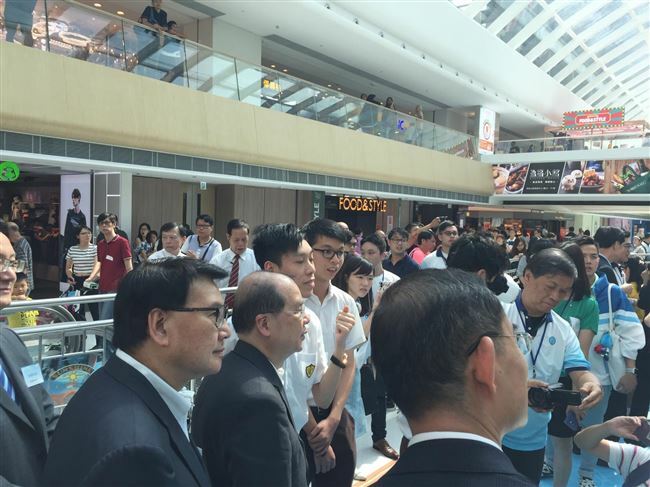 Mr. Matthew Cheung Kin-Chung, Chief Secretary for Administration in the photo was the officiating guest of the award ceremony. 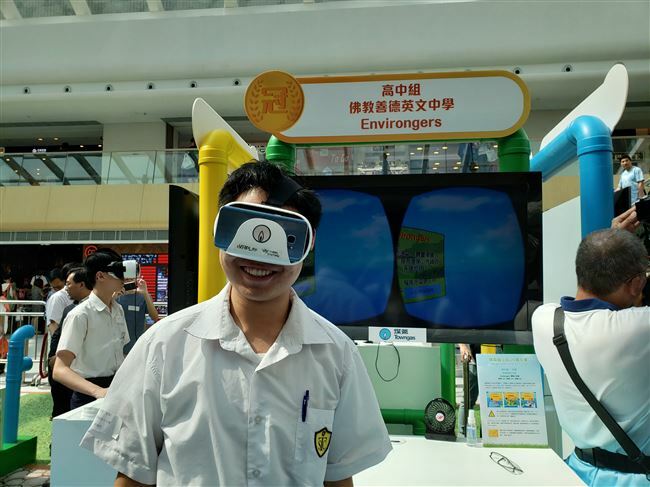 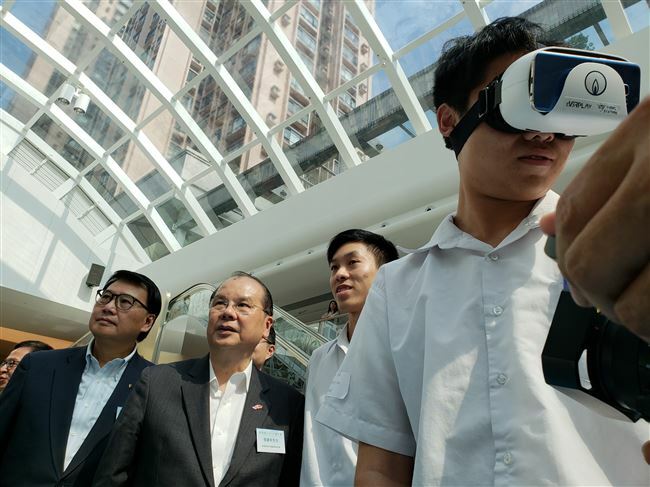 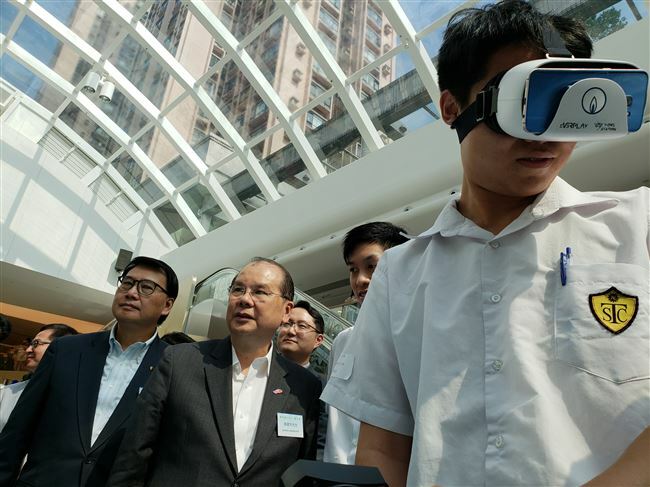 Congratulations to the virtual reality game "Environgers" designed by 6B Kwok Yui Chit, 6B Leung Pocco and 6E Tang Pok Lam who were the Champions for the captioned event organised by Towngas and Hong Kong Education City on Sunday, 9th September 2018. 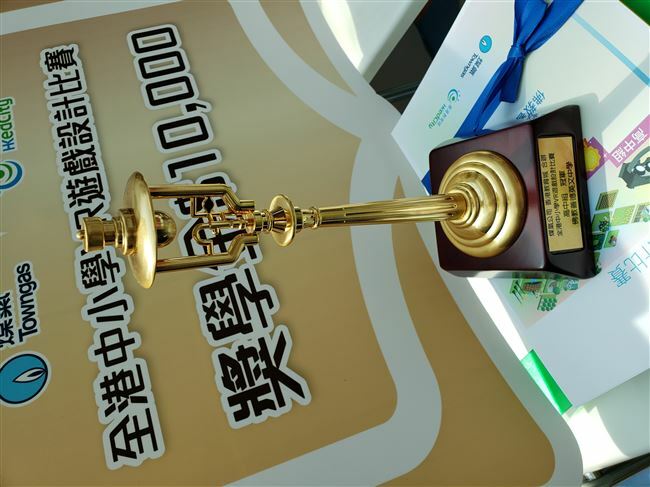 The first award in the senior secondary division is entitled to have a scholarship of HK $10,000 and a trophy. 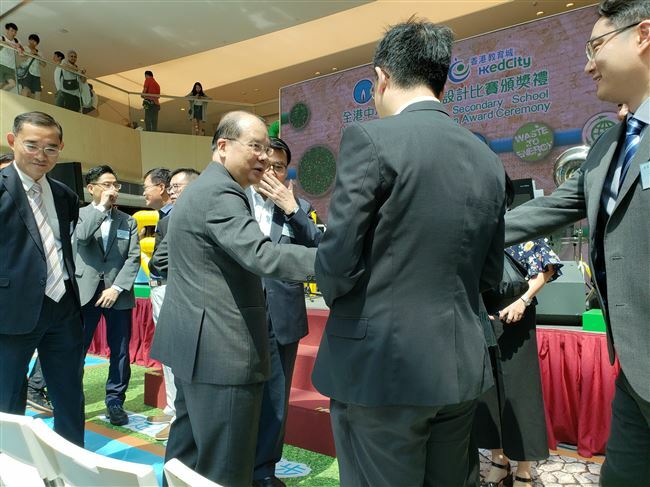 Mr. Matthew Cheung Kin-Chung, Chief Secretary for Administration in the photo was the officiating guest of the award ceremony.